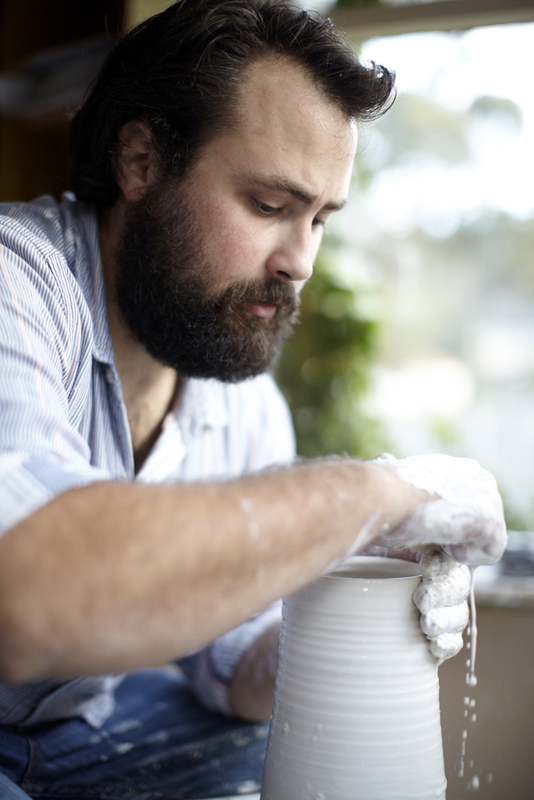 Ceramicist Andrei Davidoff makes functional objects and conceptual art pieces that are textural, beautiful and timeless. Mark Scruby visits his studio to find out about his creative process and approach to design. 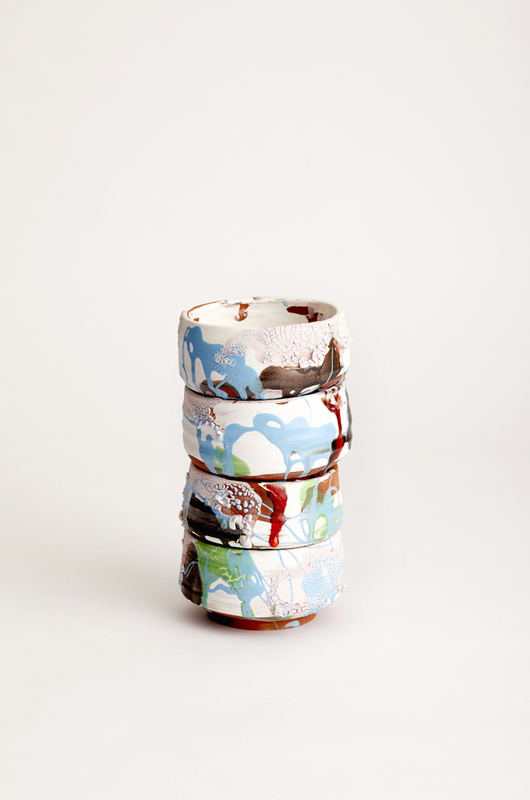 Mezzanine: How did you get into ceramics? Andrei Davidoff: I was studying chemical engineering and commerce at uni, but it ended up not being what I wanted to do. I went travelling and stayed with a family friend, a potter, in the Snowy Mountains. 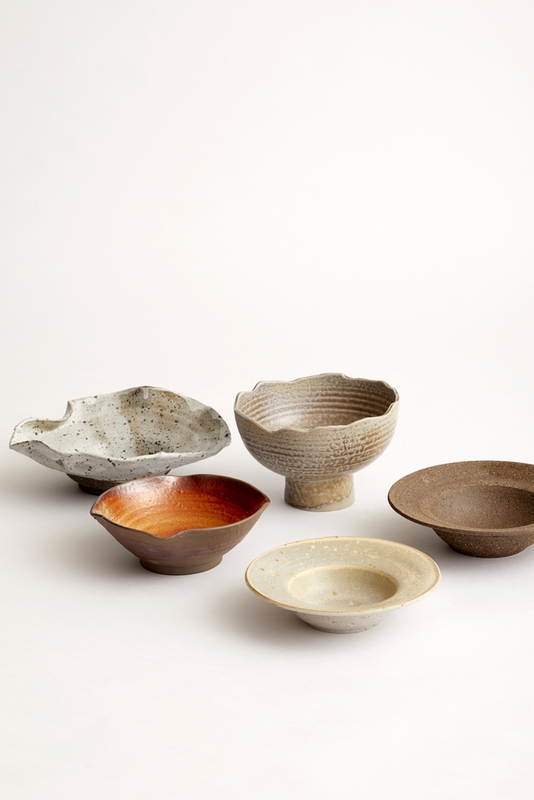 He comes from a super-traditional Japanese school of ceramics, digging his own clay, using wood-fired kilns. I was there for a year, helping out in the studio and enjoying being in the bush, and that was where my appreciation for the material and for glazes started. So I went back to uni, studied art, and now I’m making ceramics full-time. 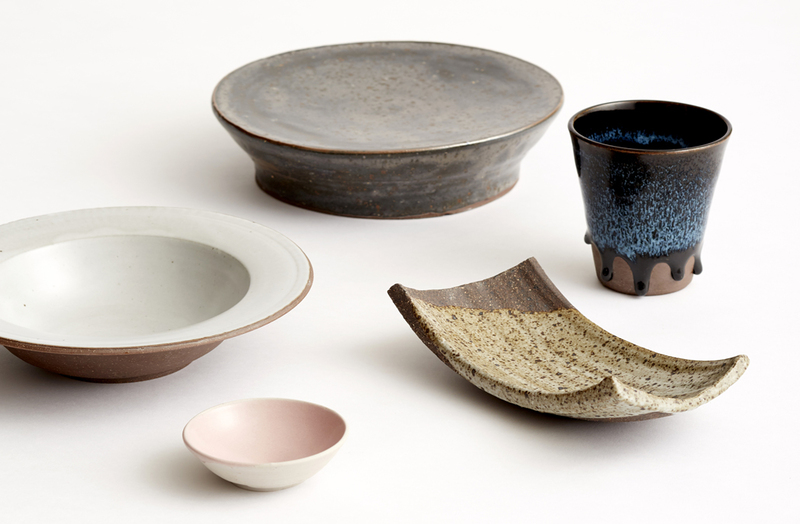 Your work spans everything from producing beautiful plates and bowls for high-end restaurants to pure conceptual art. How do you manage those different modes of creativity? I split my practice three ways. There’s the conceptual art, there’s the production work, which is producing flatware, bowls, plates for restaurants etc, and in the middle is what I call my studio practice. That’s where I make one-off pieces that are still functional – teapots, large platters, donut-ring vases, all kinds of wacky and wonderful things. How do you describe your personal style in among the broader world of ceramics? The other thing is that I want people to see the interaction between the clay and the glaze. In pretty much everything I make you can see the glaze and you can see the clay underneath. And I leave all my finger marks and finger swipes. They’re not obvious, but they’re there. It makes the user aware of the materials that are going into the object, aware of the process. So it’s obviously not a machine-made thing. But I think the abstractions that you include in a piece, whether it’s an art piece or a functional piece, have to be there by choice, not through lack of skill. If a pot is wobbly because you can’t make a normal pot, then that’s different to making a free form because you’ve chosen to make a free form. Do you consider using materials other than clay in your work? A couple of years ago, I decided in my conceptual work to just stick to ceramics, to be comfortable with it and dispel any sense of inferiority that I was just making vessels, decorating them and putting them out as concept pieces. Part of that comfort came from learning more about the history of the medium, the work that has come before, and looking ahead to the unlimited potential of ceramics. But also from knowing that that’s my speciality, delving deeper into the ceramic vessel, whether it’s a big gronky form, or a refined plate. I mean, my whole life pretty much revolves around the vessel. Everything that I process, in terms of concept and design and function and colour, is around the pot or the vessel, or the plate. We’ll be watching some crime show on TV and I’ll say something like, ‘Oh, did you see that pot on the windowsill?’ It’s my thing. There is something compelling about the idea of the vessel. I’m really fussy about what I what I drink out of, the shape, the texture. I think vessels, especially cups and mugs, are very important to get right. There aren’t many things in the world that you allow to touch your mouth, if you think about it. Cutlery, a napkin, someone else’s lips, a toothbrush. For many people, holding a mug to their lips is the first thing they do the morning. It’s quite a sensual experience, so if it’s not pleasant, that’s a horrible thing that you’re doing to somebody. You mentioned learning from the history of the medium. What are you most influenced by? I have a love/hate relationship with the pottery world’s obsession with Japan. I think it can be very narrow-minded. But Japanese ceramics is also so broad, once you start looking at it properly. There’s so much ground-breaking work throughout its history, and so much tradition. Korea is really underrated, but has a really beautiful tradition as well. Most of the techniques that I use are Oriental, so that’s definitely an influence. And for the past couple of years I’ve been obsessed with the North Carolina tradition. They have 300 years of pottery tradition in that part of the world, making whisky jugs and big gallon containers. Over the last 50 years, it’s been influenced by Japan as well, but in a really organic fashion. But beyond ceramics, landscape is definitely my main influence. How does that play out in your work? It comes out naturally. I don’t say, I’m going to make a mountain plate! Or, this is going to be my river plate! In part, it’s that clay/glaze interaction, looking at colours and looking at interaction between elements. That’s what nature and landscape is all about, really, whether it’s sky and the horizon, or a boulder sitting in a field. And I make all of my glazes, and they’re all pretty much natural colours, the oranges and whites, the browns, even the purples and the blues. They all come from the landscape.